Any right brain professionals who have conversations with technical decision makers know one thing. These decision makers are skeptical: of everyone and about every presentation and conversation. Why? Their careers depend on their skepticism. Technical decision makers must make the right decision based on the right information. Otherwise, engineered outcomes and data models fall short of executing often-mission-critical outcomes. The level of skepticism by technical decision makers, often STEM professionals and left brain thinkers, is legendary. Also, terrifying. Especially to right brain professionals who count on being likable and personally engaging to influence decision making. These right brain thinkers, the non-technical and non-STEM professionals in your organization, often hesitate. Why move one millimeter outside of what is comfortable? Why move beyond the stuff that gives them Pause? And, quite frankly, moving one millimeter beyond their professional comfort levels is exactly where they need to go. Learn more by downloading my white paper: New Strategies for Selling to Skeptical Technical Decision Makers by clicking on this LINK. 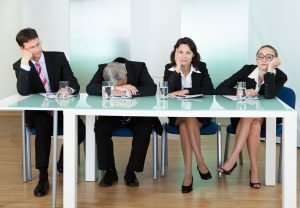 Technical decision makers tune out right brain professionals because their conversations and presentations do not connect the dots. Far enough. Those left brain thinkers and STEM professionals in an organization solve problems very differently than do business professionals. And, those business professionals who fearlessly (well, eventually) wander outside their professional boundaries reap the benefits of their decisions. The key to connecting the dots between what you do and what “they” do is storytelling. Rather than continuing to do things in the same, discipline-specific way, expecting better results. The professional decision to wander off into one another’s story is initially terrifying. Yet oh so professionally fulfilling, moving forward. All that is involved is a willingness to be curious, rather than comfortable. Because curiosity is the hallmark of those skeptical technical decision makers. Which often is not necessarily a trait for which business professionals are hired. Finding common ground through storytelling catalyzes professional development, workforce engagement and customer and stakeholder success. Isn’t this the outcome we all should target? Consider the implications for not only customer acquisition, but also employee experience, customer experience and customer retention. Take the next steps to learn more about how to create a storytelling culture in your organization.